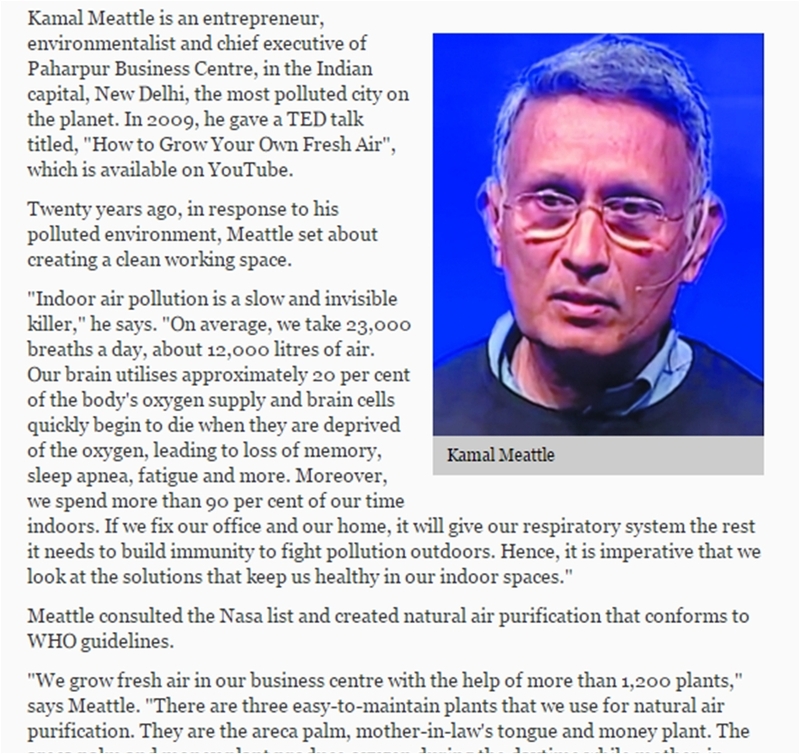 “Indoor Air Pollution is a slow and invisible killer,” says Mr. Kamal Meattle, a renowned environmentalist. We take approximately 23,000 breaths a day which is about 12,000 litres of air. Our brain utilizes approximately 20 percent of body’s oxygen supply and brain cells quickly begin to die when they are deprived of the oxygen. And since we spend 90 percent of the time indoors, it is important to fix the indoor air quality indoors at home and in our offices.